An application pending before the Brick Township Board of Adjustment that would allow units of designated affordable housing to be added to a township apartment complex has been postponed. 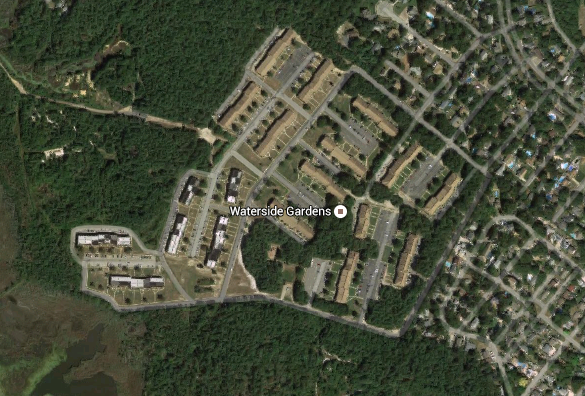 The application by the management of the Waterside Gardens complex, located off Drum Point Road along Schindler Drive, was scheduled to be heard by the board Wednesday night, but officials said the applicant had asked for the hearing to be rescheduled. A new hearing date has not yet been selected. The application seeks permission from the board to exceed the township’s ordinance covering housing density. Brick’s zoning law sets the maximum permitted density of the complex at six units per acre; currently, the complex adds up to 7.97 units per acre and, should the new units be added, 8.35 units per acre will exist at the site, according to documents filed with the township. A total of 25 units of affordable housing would be added within the 19-building complex. The application also seeks permission to demolish a maintenance building so a new clubhouse can be built, as well as several drainage requirements.